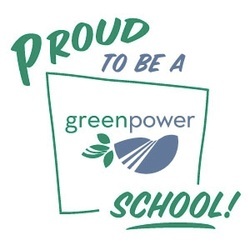 The Green Team is a group of staff and students at Bordewich Bray who care about the Earth. We educate students about environmental awareness and the things we do that impact the environment. We have monthly meetings that focus on topics which include alternative energy, conservation, gardening, recycling and much more. We participate in community outreach events and work together on projects to help make our school more “green”. Click here to see pictures of our party. Click on the picture above to find out more about the Whole Kids Foundation. See the Gardening page for pictures of our garden and to hear about what is growing right now. Regular meetings will be held the 2nd Friday of each month at 7:45. $8.00 each or bring in two garbage bags full of aluminum cans for recycling. Be sure to visit our new friends at ConserveNOW. They are donating reusable bags to The Green Team. YAY! !